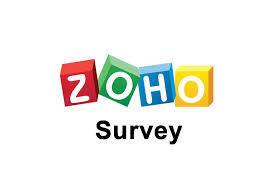 Please click on the image below to take our patient satisfaction survey. We are not a retail shoe store, per se, but we do supply footwear by prescription. If a customer likes a pair of shoes and wants us to order them, we are more than happy to do that as well. Just because a shoe is called "orthopedic" does not mean that is has to be black, heavy and ugly. There are so many styles and colors out now, it can be hard for the customer to choose just one pair. 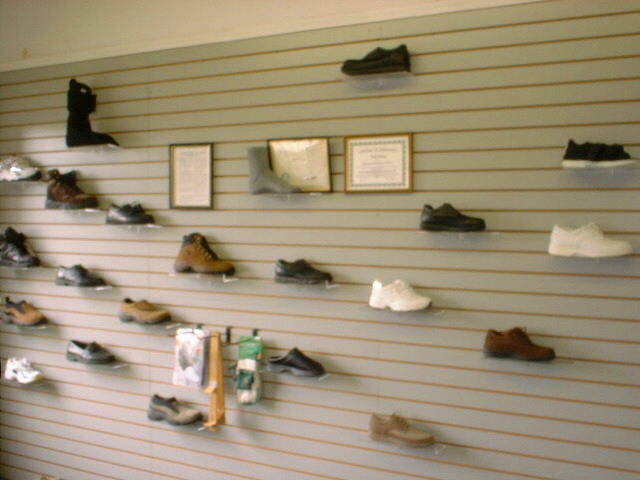 Some of our favorite shoes we carry are from Propet. Propet has very inexpensive shoes that are extremely light weight and look great. Proper shoe constriction plays a vital role in foot care. A good shoe should have a solid heel counter (the back of the shoe) and it should not bend in the middle. It should only bend where your foot bends naturally. 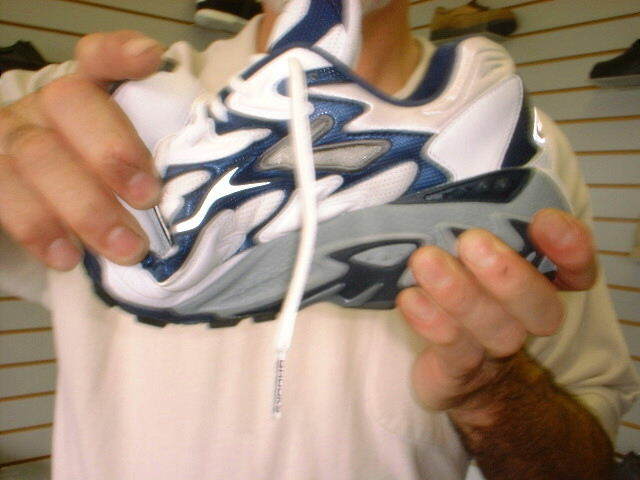 This image shows a shoe that does not bend, or hinge in the correct area. 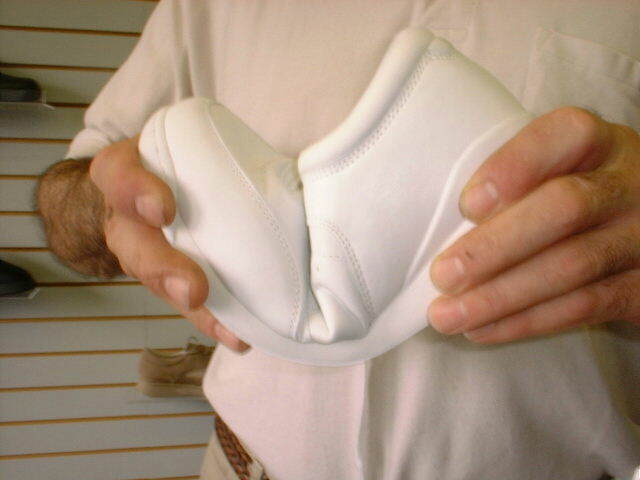 This image shows where the shoe should properly hinge.